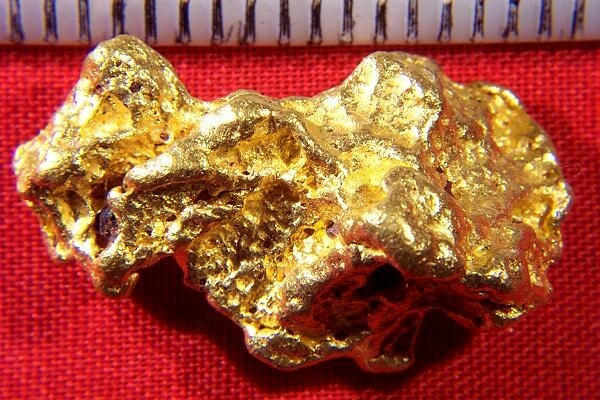 This incredible Australian Natural Gold Nugget from Western Australia is super nice. 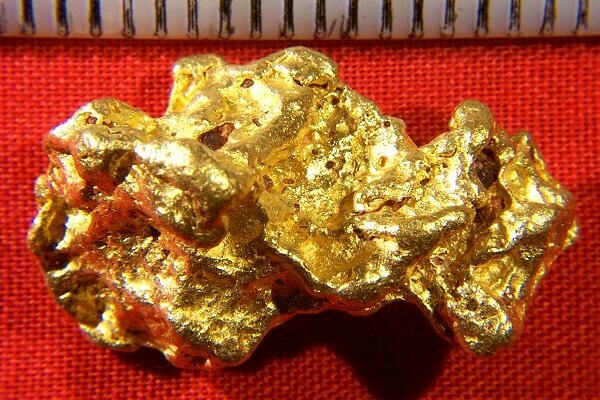 The gold in this incredible gold specimen is very pure at 92% to 98% pure (22KT to 23KT) giving it stunning color. The weight is 17 Grams and it is 1" (25 mm) long and very fat. It has fantastic color and texture. It is clean and free from any host rock or mineralization, making it jewelry/investment grade, the highest grade of natural gold nugget that you can buy. I hand selected all my gold nuggets from the collections of multiple gold prospectors. That's why I have so many super nice high quality raw gold specimens.